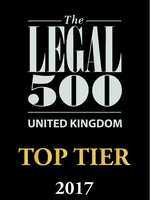 As an employer, you need good legal advice. It goes without saying. Not only to help protect your business, your workforce, and your reputation, but also to save you money. 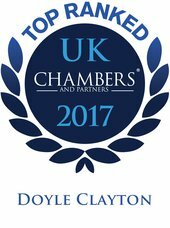 At Doyle Clayton, we’re regarded as specialists in employment law, as well as a source of legal advice for all workplace-related matters. We work with small, medium and large sized employers, or those with complex requirements. Because almost every type of business can benefit from what we offer, we work in almost every type of sector. From financial services to pharma. From retail to manufacturing and engineering. And from business and professional services to media, logistics and education. We take on employment issues from one end of the working relationship to the other. 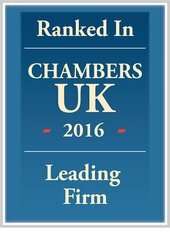 Unlike many other employment law practices, we’re lucky enough to work with individual clients and employers. We understand what’s important and what motivates them both (often very different things) and are privileged to be able to see matters from either side. This gives us added context and insight when it comes to advising you on realistic outcomes and on the best ways to achieve them. 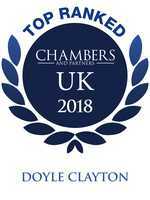 We also have lawyers with particular expertise in niche areas of employment law, such as data protection issues, restrictive covenants and team moves. "They are professional, approachable and always keep to agreed timelines and deal with queries quickly and efficiently." "They are a fantastic team and firm to work with." We don’t believe in ‘text book’ legal answers. In our experience, the ‘one-size-fits-all’ approach doesn’t apply to employment law. So we make it our business to get to know your business, the issues you face, and what you want to achieve. It’s the only way we can provide truly practical, commercially-workable and tailored advice. It’s how we’ve built our own reputation. And it’s why we have so many long-standing client relationships. "They are notable for their client management skills and commercial sense."